I first became aware of Guy Clark’s brilliance as a songwriter through the fine cover version of Desperados Waiting For A Train which appeared on the Irish singer, Freddie White’s 1979 album, Live On Tour. From memory, Freddie also played the song at one of the first concerts I ever attended when he was the opening act for Clannad in the long-since demolished Smokey Joe’s café in University College Galway. From the first time I heard it, I found the song gripping. I was later to find that it was one of those songs which epitomised all of the key strengths which were to be found in Guy’s songwriting. First, there was his beautiful economy with words. Indeed, Clark had that rare ability shared by only the very best songwriters (like John Prine, Kevin Coyne or Ray Davies) to draw deft character sketches which, in the space of a three to four minute song, could carry more weight than many a short story or novel. For example, Desperados combines such deft characterisations (“old men with beer guts and dominoes, lying about their lives while they played”) with a beautifully judged (and largely autobiographical) ‘coming of age’ story. It also combines a wry sense of humour with an unsentimental empathy for the struggles of the characters who are so superbly depicted in the song. It was also a fine example of that almost seamless marriage of words and music which was characteristic of this great songwriter’s best work. Although I was impressed with the quality of Desperados from the first, for some reason it was not until several years later that I began to explore Clark’s music in a systematic way. When doing so, it was his brilliant debut album, the peerless Old No. 1, which had the most immediate impact on me. Unlike my co-writer Dave, by the time I came to the record it already had an established reputation as a classic. However, it did not disappoint my expectations as many records with a similarly exalted status have done. Indeed, as Robert Forster of the great Australian band, The Go-Betweens, put it in perhaps the best piece to be written on the record (which is reprinted in his fine book, “The 10 Rules Of Rock And Roll”), “it may not be the best debut album of all time – but it’s damn close”. In my opinion, only John Prine’s classic first album and Nick Drake’s brilliant Bryter Later come close in quality to this masterpiece. It is one of those rare albums where one great song follows another and each seems to fit seamlessly with the one that goes before it. It may, perhaps, have been a product of the fact that Guy Clark was 34 when he made it but the album also has a maturity about it which is highly unusual for a debut record. By this point, he had absorbed his early influences, which primarily came from folk and country music, and had developed a style which was distinctively his own. He had also developed a mastery of the art of writing ‘story’ songs. In this regard, he ranked among the very best of the ‘craftsmen’ songwriters. Although this term is sometimes used as a half-baked compliment, it applies perfectly to his meticulous and finely honed approach to his craft. Like the very best craftsmen, Clark’s best work also sometimes had a deceptive simplicity, which concealed the highly developed artistry and skill which had produced it. This artistry and mastery of the craft of the narrative song are superbly displayed in my second choice, Texas 1947. Again, this is a largely autobiographical song which gives a deft portrayal of small-town life in Texas when Clark was a young boy. One of the great strengths of the song is the superb skill with which he describes a child’s view of the world. There is also the use of keenly observed details which add further depth to his depiction of small-town life. For example, the arrival of the diesel streamliner train in the town is something that “even old man Wyman never seen before”. In a brief space, the song also manages to give a sense of the bigger social and economic changes that were happening in post-war America and which were going to transform even the kind of sleepy rural town in which the song is set. A similar ability to deal with wider social questions while focusing on a particular individual case is shown in my third choice, Immigrant Eyes. The song comes from Guy Clark’s 1988 album, Old Friends, and begins with a brilliant depiction of a group of emigrants gathered at Ellis Island in the early twentieth century. What stands out in the song is Clark’s empathy with those people gathered there who are “tired and hungry and scared” and “poked and prodded and shoved”. Set to a fine folk-type melody, the song has had an immediate resonance for members of immigrant communities living in the US itself and for their families in the countries from which they came (as is indicated by the cover version by the Irish artist, Dolores Keane). However, it could be argued that in its emphasis on the contribution which those emigrants have made to the countries to which they have gone, it also has a wider significance given the plight of refugees around the world today. Throughout his career, Guy Clark always surrounded himself with musicians of the highest calibre. Indeed, the respect which his fellow artists showed for him was clearly displayed on his 1992 album, Boats To Build. Among the backing musicians on that record were people of the calibre of Jerry Douglas on slide guitar, Marty Stuart and Sam Bush on mandolin and Emmylou Harris and Rodney Crowell on backing vocals. Their unobtrusively excellent contributions and their consistently impeccable musicianship are one of the great strengths of the album. These are also clearly displayed on my fourth choice, Boats To Build, the title song of that record, which is another one of those quietly brilliant Clark songs. While singing the praises of one craft (boat-building, that is), it also demonstrates his complete mastery over another. My next selection, Randall Knife, first appeared on Clark’s 1983 album, Better Days. However, it was a song which was to only really come into its own in live performance. In consequence, the version I have chosen here comes from the album, Live From Austin, TX. Although that CD was not released until 2007, it was originally recorded for the live television show of the same name in 1989. The song itself is, in my opinion, one of Guy Clark’s very best. It is both a brilliant meditation on his relationship with his late father and a consummate example of his skill as a writer of narrative songs. It also displays his superb ability to walk the fine line between pathos and sentimentality in a way that very few other country songwriters can manage. The version here is also greatly enhanced by the superb backing of Stuart Duncan on fiddle and Edgar Meyer on bass, which give the song an added poignancy when compared to the studio version. My last selection, My Favorite Picture Of You, is the title track from the last album which this great artist made. It was also recorded in extremely difficult circumstances, being made soon after the death of his wife, Susanna, to whom he had been married for forty years, and at a time when he himself was in extremely poor health. Since the beginning of his recording career, she had been closely involved with Clark’s work, both as a co-writer, backing singer and as a talented songwriter and artist in her own right. In the circumstances, it was something of a surprise that the album should have been made at all and an even bigger one, perhaps, that it should have been of such a consistently high quality. Indeed, the best songs on it can stand comparison with the best work which he had done at any point in his career. Of these, the title track is, perhaps, the most outstanding. The picture which Clark describes in the song is one that was taken after the couple had had an argument, where she stands with her fists “clenched … not gone but going”. Anyone doubting how angry she was with her husband at that point should take a look at the copy of that image which appears on the sleeve of the CD. By framing the song in this way, Clark also skilfully avoids some of the pitfalls which could have faced a song of this type. Instead, it becomes an extremely moving testament to both her strength of character and to the depth of the bond which existed between them. As a song it is also yet another demonstration of Clark’s great skill as an artist. His powers of observation and his mastery of the telling detail had been key features of his work from the earliest days and remained intact until his very last days. Along with this, both he and his great friend Townes Van Zandt played a key part in developing the great tradition of Texan songwriting. Through their generosity and mentoring of younger artists, they also played a key role in developing the careers of a whole generation of fine songwriters. This group includes people of the calibre of Joe Ely, Steve Earle, Lyle Lovett, Robert Earl Keen and honorary Texans such as Rodney Crowell. Even more recently, Guy Clark had played a key role in furthering the career of that great songwriter, Mary Gauthier. Together with the great body of work which both Guy and Townes left behind them, this may be their most abiding legacy. We’ve all had this sort of moment (this is Dave speaking). 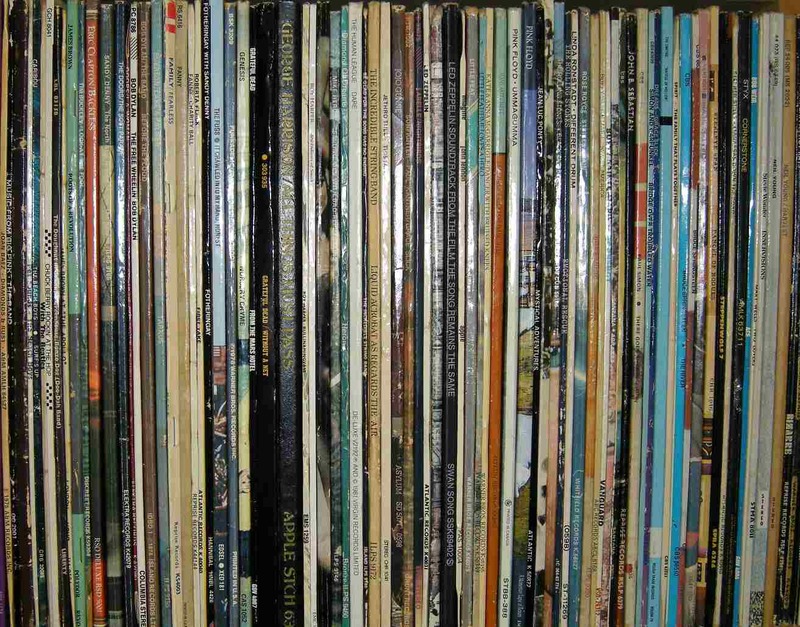 You’ve got home with the new LP/CD clutched in sticky hands, made yourself a coffee, powered up the deck, dropped the stylus gently on the vinyl – yes, I did really mean LP – and silently prayed that you’d hear something really good. I did that somewhere around ’76/’77, and bear in mind that there was no YouTube sampling available then, and record shops weren’t anything like as obliging as they used to be in the sixties in giving you a free listen. The artist was Guy Clark, the LP was Old No. 1 and that first track was Rita Ballou. And was it good? No, it was more than that, it was terrific. And so was the next track, and the next. Andrew has already extolled the brilliance of that album so I’ll spend no more time on the subject. But I have to have a bit of a rave about Rita. She was the lady who introduced me to Guy so she deserves a special place in my memory. Even now if I call her up on YouTube I find the laptop is bouncing on my knees as they respond to that rhythm. Rita Ballou came at you like old timey music crossed with rock’n’roll – it had the technical excellence, the sheer history and authority of the former with the spirit and drive of the latter with a lot of fun mixed in. Am I romanticizing? Well, maybe, but there weren’t too many people who sounded like this back then. There were the country guys, some of whom – Waylon and Willie etc. – were working on something without the Nashville gloss. There were folkies and singer/songwriters like James Taylor who sometimes imported a little rural grit into their songs. And there were the traditionalists with fiddles and suchlike who seemed to be in a world of their own. All a drastic over-simplification of course, particularly since there was already a new generation of musicians like Van Zandt, Newbury and Prine who were starting to be heard. Bear in mind also that I was feeling my way into this. My background was rock and blues plus Dylan and some of those songwriter folk. I’d picked up on Jennings and Newbury a year or so before but those guys were almost pop in comparison to this stuff. Years later I found the following quote from Guy, “All I was, to begin with, was a folksinger doing traditional English ballads and Irish ballads and all that kind of thing”. But it wasn’t just to begin with; he stuck broadly to this approach throughout his career. On Rita, strings were being plucked with little sign of electricity, the pianist obviously knew his honky tonk stuff even if he did keep it restrained, and Guy was doing a kind of falsetto yodelly thing. And those words kept tumbling out – “Backslidin’ barrel ridin’ Rita Ballou, ain’t a cowboy in Texas would not ride a bull for you”. I always wondered whether Rita was any relation to the arguably more famous Cat Ballou, as played so delightfully by Jane Fonda in the film of that name. The Cat Ballou analogy gives me a neat segue to my second selection, The Last Gunfighter Ballad, from the second album, Texas Cookin’. Jane Fonda’s co-star in the film was the immortal Lee Marvin who actually played two roles; the baddie – a guy with a tin nose ’cause it had been eaten! – plus, the legendary but washed-up gunfighter, Kid Shelleen. Marvin extracts plenty of humour from the role but there’s something darker lurking underneath. In the Clark song there’s no comedy. Instead there’s pathos with a failing memory reaching back to those days and “the smell of the black powder smoke and the stand in the street at the turn of a joke” but “Now he’s just an old man that no one believes and he says he’s a gunfighter and the last of the breed”. Like a real western movie the song needs an ending and it gets one. And unlike Cat Ballou, it’s a not a happy one. For me it’s that ascending sequence of lines that terminate in “the stand in the street at the turn of a joke” which really make the song stand out. Guy knows it and he repeats those lines just as confrontation came after confrontation for those cowboys. I confess to a mental tendency to group this song with Desperados as being Guy’s two wide screen film songs. I thought something lighter might be suitable next and the sprightly tune of Dancin’ Days fits the bill nicely. However, the song comes from Guy’s 2002 set, The Dark, which contains a number of songs concerned with death and/or the aging process. Think Dylan and Time Out Of Mind from five years earlier. Those words can be taken straight or metaphorically but either way, you know the years are taking their toll. The relationship between the lady and narrator isn’t explained but there’s love involved, and pain as well. Meanwhile there’s some quite delightful picking going on from Verlon Thompson and Darrell Scott. There’s nothing as heavy as drums. Just a boot heel hitting the rhythm or maybe a cardboard box – and it doesn’t break into more than basic syncopation till a good way through. The performance is of the sort that’s often labelled bitter sweet but, for me, those words don’t do it justice. Out In The Parking Lot from live 1997 album Keepers, might be one of the slightest songs that Clark has written. Unlike his famed story songs not a lot happens other than time passing while an evening dance takes place, most probably somewhere in Texas. The Clark character is out in the car park (or ‘lot’ in American), having a glug of whisky. He can still hear the band playing through the wall. A few things do go on – the sort of things that happen in such places at such a time – and Guy takes note but stays uninvolved. Eventually “the dust begins to settle and it’s never been so quiet, out in the parking lot”. The melody line is slow and lazy with some nice but faint dobro from Darrell, and a lady comes in behind Guy on the middle eight. All observation and mood. This one actually comes from a live performance but the applause that erupts at the end comes as a surprise after what had seemed private ruminations. Guy never had any real hits although a number of his records, mainly from the Warner Brothers period, did leave a mark on the US Country Chart. But if one were to measure popularity in terms of YouTube hits then Desperados would be up there as would L.A. Freeway (also from that first album) which hasn’t even got a mention so far. Also up there on the basis of YT hits are The Guitar, another great track which neither Andrew or I have found room for, and Dublin Blues. I’m pretty sure that none of these tracks has seen single release though there have been covers of Desperados and L.A. Freeway – Jerry Jeff Walker made a hit out of the last named. All of which is a long-winded way of getting round to Dublin Blues, though I hasten to add, that it would have made my list regardless of YouTube hits. It sits on the album of that name which saw release in 1995. However I first came across it on an alt-country compilation sometime in the late nineties. And the visual touches are there: “I loved you on the Spanish Steps the day you said goodbye” which conjures up a mix of crowds of tourists waving cameras and selfie-sticks, sublime architecture, heat and heartbreak. On the studio version all the usual support team are there: Verlon, Darrell and Rodney Crowell and Emmylou joins in on the second chorus. However, the one I have almost on repeat on YouTube is the live one from the 1995/96 Transatlantic Sessions with Karen Matheson on second vocal. I couldn’t leave this song without a live clip of Doc Watson playing Columbus Stockade Blues. If you’ve listened right through Dublin Blues you’ll know why. Up until that last pair of clips I had been fairly mean with such things but I intend to make up for that now with a number of songs which didn’t make the cut. I’m starting with Tears from 1983’s Better Days. From that opening bank of fiddles it sounds just like something that you might have heard on a country jukebox in, say, the early sixties. It’s the sort of song Harlan Howard might have come up with right down to that title – and I’ll challenge anyone to create a better title for a weepie in five letters. In my mind I can just imagine Rodney Crowell saying to Guy, “I bet you can’t come up with a Nashville tearjerker”, with this result. Magdalene from Workbench Songs (2006) has Guy with a floaty sort of melody line over a repetitive descending three chord riff. It’s slightly reminiscent of the sort of thing that Van Morrison did from Astral Weeks onwards, only more pastoral and (slightly) more country. What I’m trying to say is that on this one Guy veers close to rock territory. Which is pretty rare and is the reason for it being here. No special reason for giving you Magnolia Wind, it’s just a big personal favourite in every respect; vocally, instrumentally (specially the mandolin from Darrell but the others are great too) and lyrically. I agonised for ages over this one and Dancin’ Days, another track from 2002’s The Dark and it was the latter which eventually got the nod. My last clip is for Andrew because I know that it’s one that he dropped in order to get to the magic six. It takes us right back to album #2, Texas Cookin’, and the song is Anyhow I Love You. Another great track but his consistency level was so high right from the start. I opened with the first track on Old No. 1. My final selection is the last track on that LP (and I still think of it as vinyl). The song is Let Him Roll. What I hadn’t realised when I selected this pair was that RCA Victor had issued the two on a single with Rita on the A-side. Good selection. Pity they didn’t set the world alight at the time. Not a new story. Mickey Newbury had a considerably more famous variation on the theme in Frisco Mabel Joy, which had the lady residing in San Francisco and the punch line, “She left this house four years ago today, they say she’s looking for some Georgia farm boy”. Guy’s song, however, has a conversational flow to it unlike Mickey’s more portentous approach. Which brings me to Guy’s delivery: the first three quarters of the song are spoken rather than sung in a monologue format over a very limited – I’m assuming Guy only – backing. He sings the chorus to finish the song, “Just you let him roll, Lord let him roll, I bet he’s gone to Dallas to rest his soul”. For your delectation I’ve found a clip of a young Guy performing this song live in Kerrville, Texas. Surprisingly – to me anyway – he is playing a Telecaster, but it still sounds right. I hadn’t actually planned to end with a death but there it is. Guy Clark died in Nashville on the 17th of May, 2016 following a lengthy illness. And I bet there were some ladies in black shedding tears. Sorry, couldn’t resist that but Guy was a much loved figure, looked up to by a whole generation of Texan (and other) singer/songwriters. At the beginning I mentioned Jennings, Nelson, Newbury and Van Zandt, all from the Lone Star State. Chuck in Steve Earle, Rodney Crowell, Lyle Lovett, Robert Earl Keen, Billy Joe Shaver, all the Lubbock lot – Ely, Gilmore, Hancock, Allen – and you have one hell of a tradition of Texan picking, and singing, and more importantly, writing. And yes, I know Andrew said something very like that but repetition isn’t always a bad thing. For some, Guy Clark may have been one of the lesser lights in that lot but I can assure you he was not. For sheer consistency of quality his songs were possibly the best of the bunch. Trite wasn’t a word you’d ever associate with him. Andrew has used the word ‘craftsman’ and that’s what Guy was. That same craftsmanship shone right through the delivery of his songs. The heading to the Billboard obituary read “Nashville Songwriting Icon Guy Clark Dead at 74”. I don’t like to use the word ‘icon’ – in at least 95% of the cases it’s used, it shouldn’t be – but this is one of those rare occasions when it fits the bill. Ref. Dancin’ Days, I love the “couple of two steps” and would assume that this is a reference to Clark’s period in Houston where cajun country wasn’t so far away and the two-step was one of the ‘in’ dances. Was “I have been to Spain” in Dublin Blues an affectionate nod to slightly earlier singer/songwriter Hoyt Axton and his song Never Been To Spain? Many of the support musicians for Old No. 1 came from the Elvis Presley entourage. The list of 12 tracks at the top of this post are in chronological order. Coming from someone who’s been responsible for some mighty fine music writing that’s some compliment. Thanks Thom. And when Andrew eventually returns to Earth after celebrating last night’s famous win I suspect he’ll say something similar. Isn’t this a great verse. And accompanied by great music. Great articles, guys – a lot of work. Thanks again. Thom & Colin, many thanks for comments. Also second Dave’s statement re Thom’s superb pieces on music at The Immortal Jukebox. As Dave has said, Guy wrote so many fine songs that there are many others which could have been included here. Should also point out that Freddie White’s excellent version of ‘Desperados’ can be heard here.